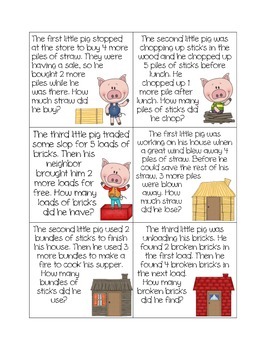 The Adventures of the Three Little Pigs: Addition Story Problem Fun! 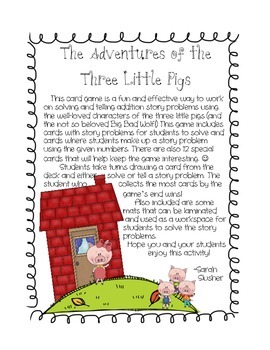 Students take turns drawing a card from the deck and either solve or tell a story problem. The student who collects the most cards by the game’s end wins! 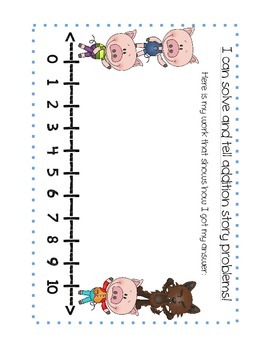 Also included is a mat that can be laminated and used as a workspace for students to solve the story problems. 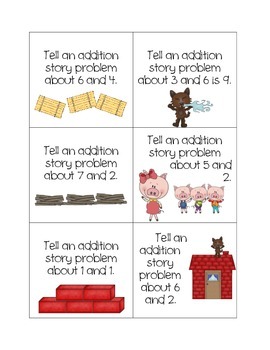 Hope you and your students enjoy this activity!